City extend Madine loan for second time. 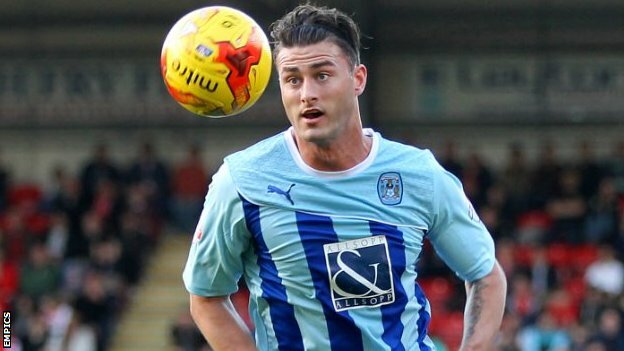 Coventry City have today completed the second, and final, loan extension of Sheffield Wednesday striker Gary Madine. Madine initially rejoined the Sky Blues for a second spell in October on a one-month loan, before that was extended by a further month. With that extension due to run out after tomorrow’s game at Walsall, City have negotiated with Wednesday for the striker to remain with City for a further final three games. The deal, which runs until January 30th sees Madine’s loan run for the maximum 93 days under the ’emergency loan’ ruling. Madine’s Wednesday contract runs out at the end of the season and Sky Blues’ boss Steven Pressley has publicly expressed his desire to tie Madine down to a permanent contract; “We’re delighted to be able to extend Gary’s stay at the club. He has been an integral part of the team since joining the club and has displayed a terrific attitude. Gary has became a focal point of the way we play and that is why he is our number one target over the transfer window. « Behind the numbers; 2014 in review.